I hope you had a wonderful Christmas and are recovering nicely by now. I made today's card because I am looking forward to starting the new year. I do love fresh beginnings, so here's to yet another one! 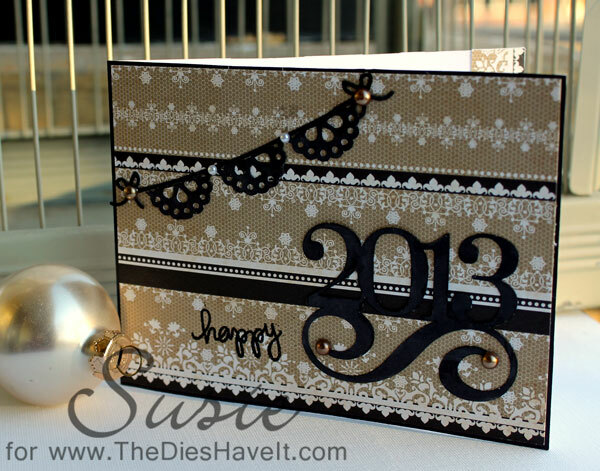 My cut files all are from the Silhouette store and I heat embossed the word 'happy'. My papers are from the Bazzill Basics Timeless collection. The sweet brown and white pearls are from Eyelet Outlet. I just love the simplicity of this card. And I think that is my wish for 2013 - simplicity! I will be back in a few hours with another fun post for you.